As a guest of Huawei at the 2017 World Mobile Congress in Barcelona, I ended up learning more about the company owned by 90,000 employees. Later in the year, in September, following another invitation from Huawei, I joined other experts to discuss digital inclusion and sustainable development in Africa at the Responsible Business Forum on Sustainable Development in Johannesburg. At the Forum, I saw the other side of Huawei’s work that touched on digital inclusion, and that resonated with me considering Paradigm Initiative’s own interventions in Nigeria’s Aba, Ajegunle and Kano. It was only natural that when I got the invitation to join other Key Opinion Leaders at this year’s Huawei Global Analyst Summit in Shenzhen, China, I expected the conversation to continue – and it did. The 2018 Summit focused on Artificial Intelligence (AI), Cloud, 5G and Internet of Things (IOT), and I had a chance to share my simplified description of the hot topics. In response to the question about the “threat” AI poses with respect to job losses, etc, my response was: “We will be fine. Humans, that is.” This is not the first revolution that humans have had to adapt to and while machines learning how to learn could be tricky, considering the option of being completely locked out of the learning/decision path at some point, technology remains a tool that can be appropriately applied towards development. I described IoT as “Cool things that cool things want to be like when they grow up” because a network of e things than devices will change the way we experience processes. When I think of Cloud, the words that come to mind are reliable and secure. Or maybe those are the wishes that I have. However, the phrase “getting cheaper” isn’t a wish. Thanks to reliable cloud services, the need for massive – and expensive – offline storage has significantly reduced. A recent comparison of laptops led me to appreciate how easy it is to choose a sleek beast of a machine with only 250 gigabyte of space over one that has 1 terabyte of space but looks like something from a 1984 movie. If 5G doesn’t bring “fast” to mind, talk to anyone who has seen it in action. 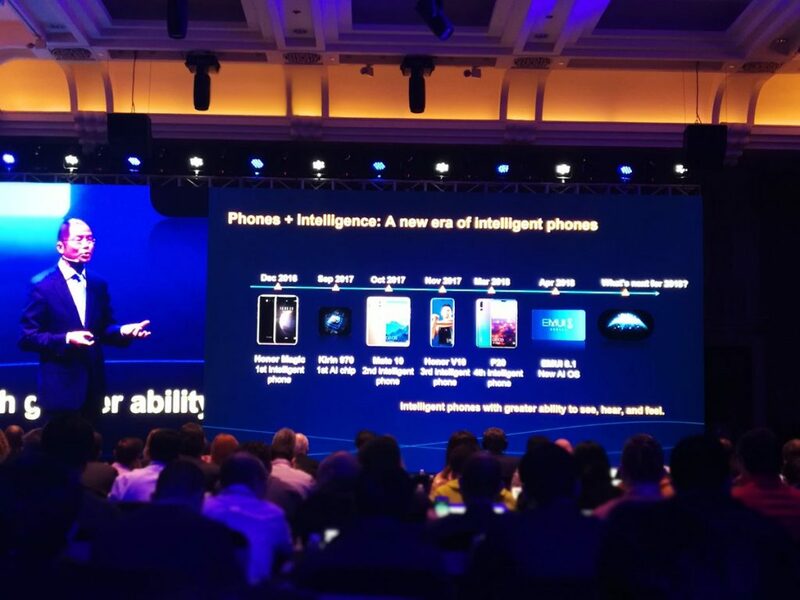 The Summit presented another opportunity for Huawei to both show off what it’s been up to and demonstrate how the advances in technology are sexier when they are a force for good. Huawei’s Global Industry Vision (GIV) 2025 was also a highlight of the Summit. 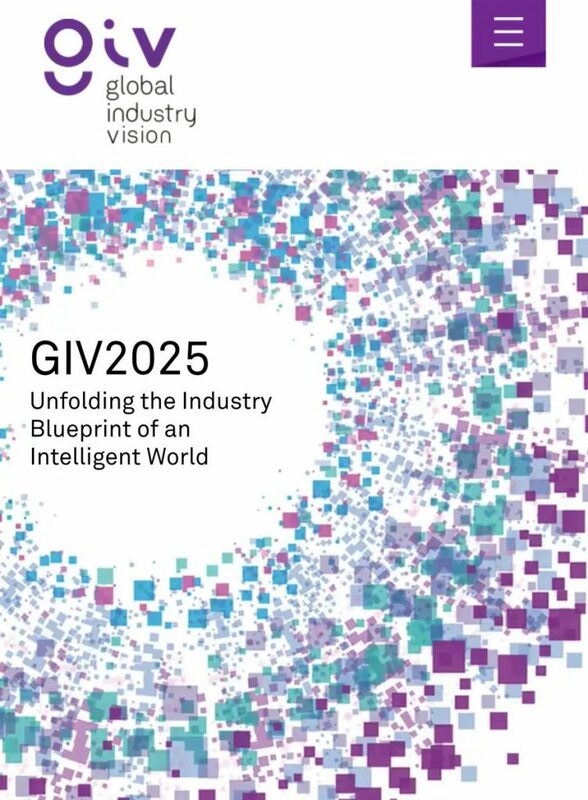 GIV 2025 describes a future where the role of smart devices and smart robots will evolve from being just a tool to being an assistant. The penetration rate of smart assistants is expected to be 90% by 2025, with 12% of homes having smart service robots. And with the assistance of guide robots, the world’s 39 million blind people and 246 million people with impaired vision can live normal lives. On deploying Artificial Intelligence for inclusion, William Xu, Huawei ‎Chief Strategy and Marketing Officer, demoed a helmet for the visually impaired, a product that “will soon be on the market”. The demo of a visually impaired person “seeing” the world through AI, and walking the streets, got me excited. 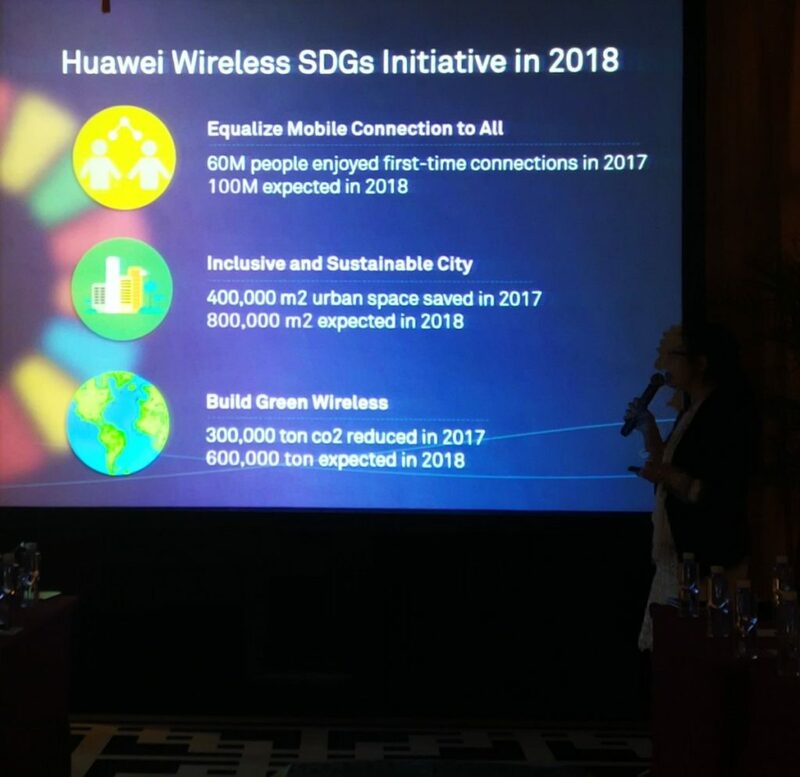 Flora Zhang, Technical Expert (Wireless), spoke about Huawei’s SDG intervention: equalizing mobile connection for all, inclusive/sustainable cities and building green wireless. Huawei discussed its plans to assist the EU achieve its sustainable development goals for 2018, which is targeted at extending network coverage to over 100 million users in rural areas, providing urban networks with high efficient base stations to cut 600,000 tons of carbon emissions. Speaking on progress of the company’s SDG program, Cao Ming, Vice President (Wireless), talked about their project in Nigeria that was originally planned for 10 million people over 3 years but is now being expanded to impact an ambitious 30 million citizens over a 5-year period based on government’s request and expert advice. “The telecom industry is the first to make commitments to the United Nation’s sustainable development goals. Huawei is constantly committed to making the world a better place for everyone. As a member in the telecom circles, we are obliged to bring the world new technologies, including 5G and clouds. It is also our responsibilities to make the world an equal, green and sustainable haven,” he said at the Summit. 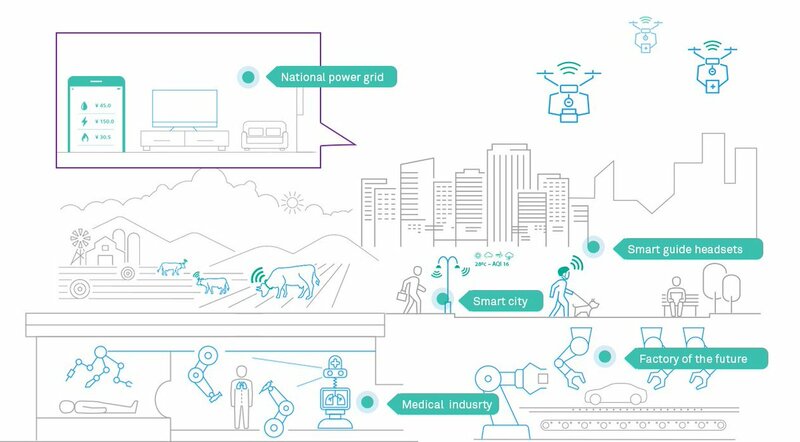 There was a lot of excitement about AI, Cloud, IoT and 5G at the Summit but what stood out for me was the conversation around how these technology opportunities must be harnessed for good. When speaking of Huawei’s PoleStar deployments, Cao Ming revealed that approximately 20,000 square meters of land – almost 3 times the size of a standard football pitch – has been saved because of smart deployment. PowerStar uses AI-based software that can help achieve up to 15% energy consumption reduction which would help save 600,000 tons of carbon emissions in the first year alone. If there was ever a time for technology companies and thought leaders to maximise the opportunities that cutting-edge technologies provide, that time is now. Huawei demonstrated this possibility at the 2018 Global Analyst Summit that was hosted in a city that itself demonstrates the power of possibilities – in less than 35 years, the once sleepy fishing village became a thriving metropolis considered the gadget factory of the world.